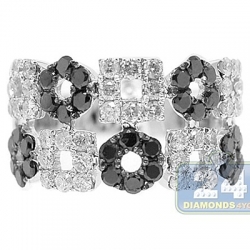 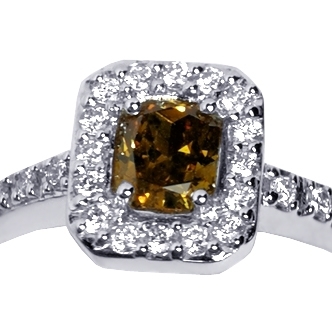 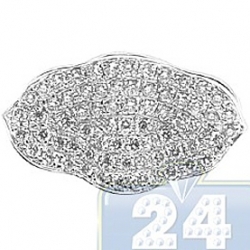 Our fancy diamond halo ring is a gorgeous way to express your playful style! 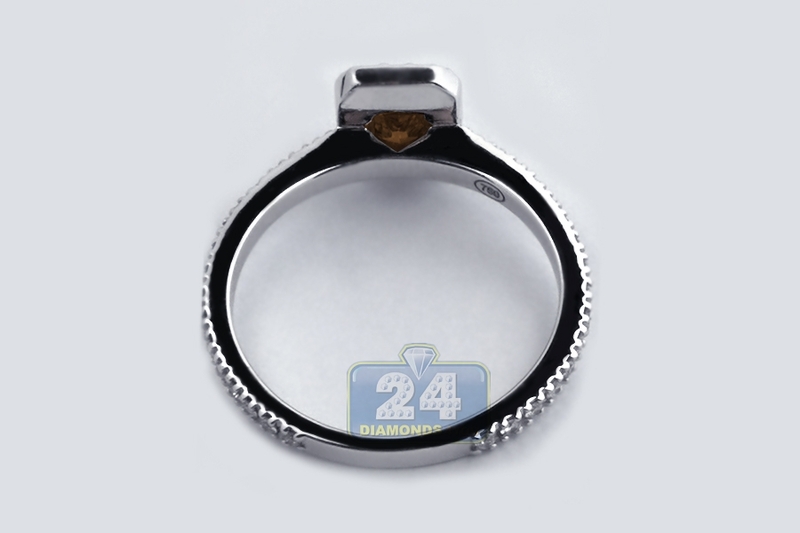 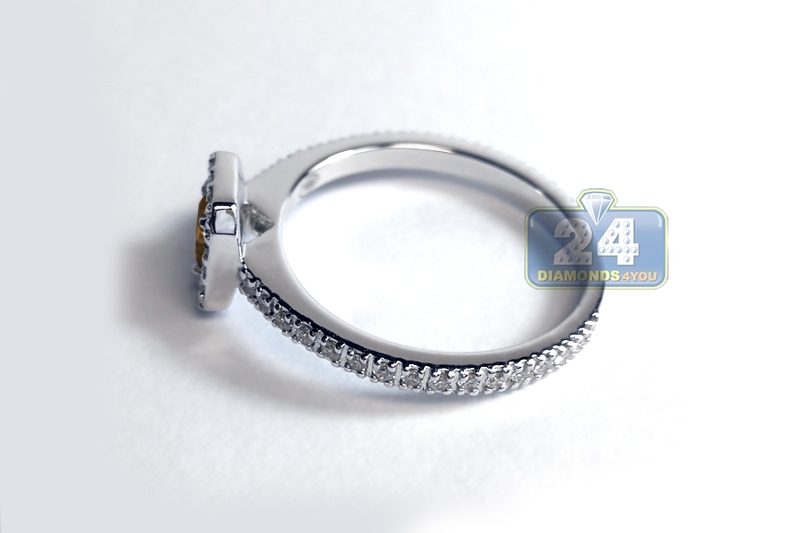 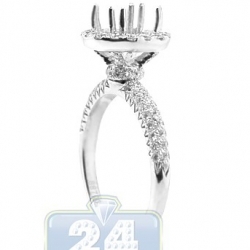 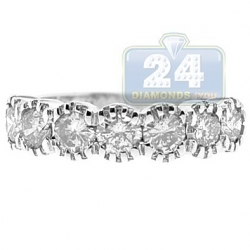 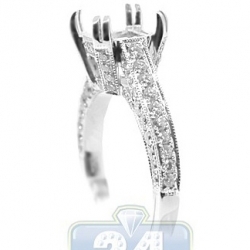 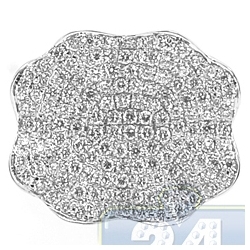 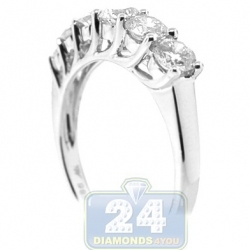 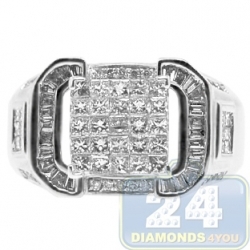 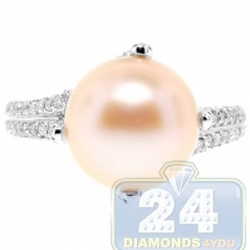 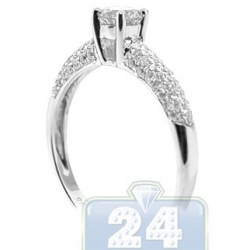 Artfully created from lustrous 18 karat white gold, it features highly polished smooth finish. 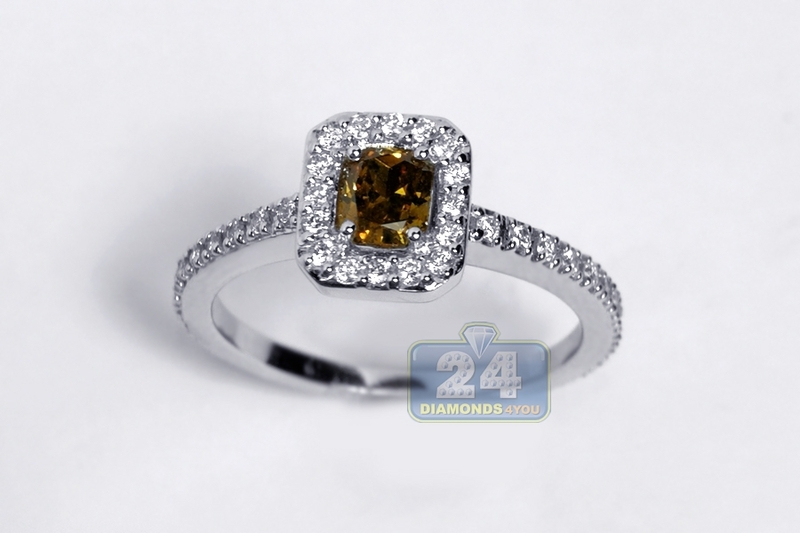 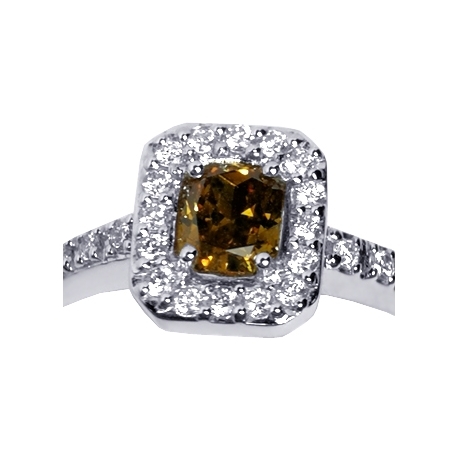 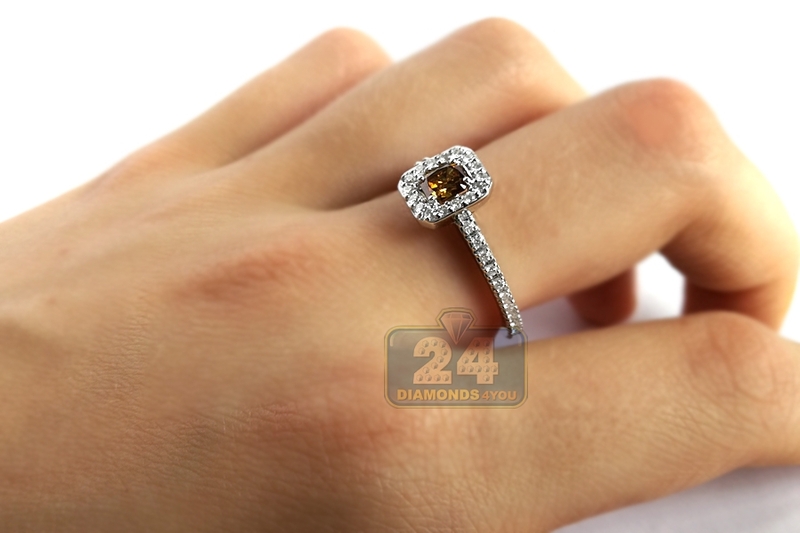 This women's engagement ring is set with fancy brown cushion-cut natural diamond of 0.38 carat in the center, and icy white round brilliant-cut diamond of 0.27 carat around. 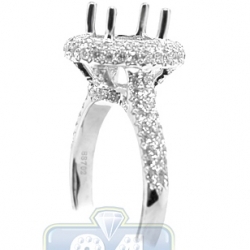 The top has width of 8 mm, and the shank is 1.5 mm. 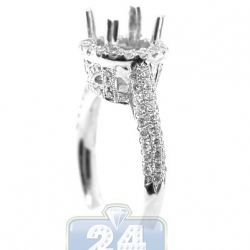 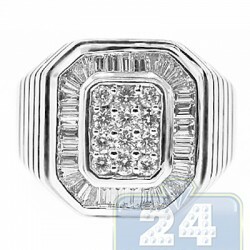 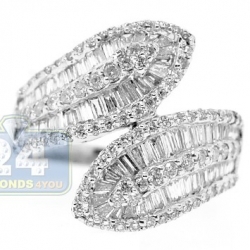 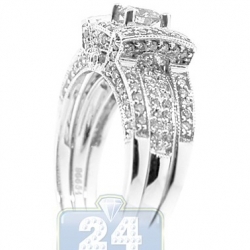 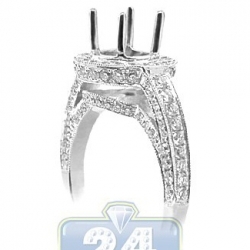 This diamond halo ring will make you take a second look!